Scott has always had a keen interest in anatomy, biomechanics and yoga. 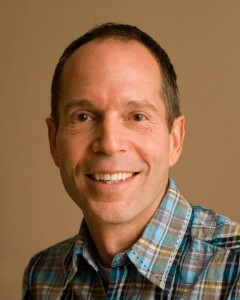 His approach to massage therapy is a blend of experience and passion. After graduating from Sutherland-Chan Massage Therapy School in 1995, Scott’s interest in the profession has grown and evolved. In addition to many years of clinical practice, he has worked for the College of Massage Therapists of Ontario as an examiner and subject matter expert for the provincial exams. He was also a teacher and clinic supervisor at the Canadian College of Massage and Hydrotherapy. In an effort to further his understanding in the complexities of this work, he has taken numerous courses in various styles of massage. From the more conventional ‘western’ style techniques to the deeper and more subtle elements of ‘eastern’ modalities, Scott’s massage has evolved over time. The main influence on his approach to massage was the discovery of deep tissue work, myofascial release and Thai massage. They offer him the ability to open restrictions in the body and invite this change with an intuitive, integrated blend of these techniques. This unique and holistic bodywork experience allows every treatment to reflect your individual needs and concerns.